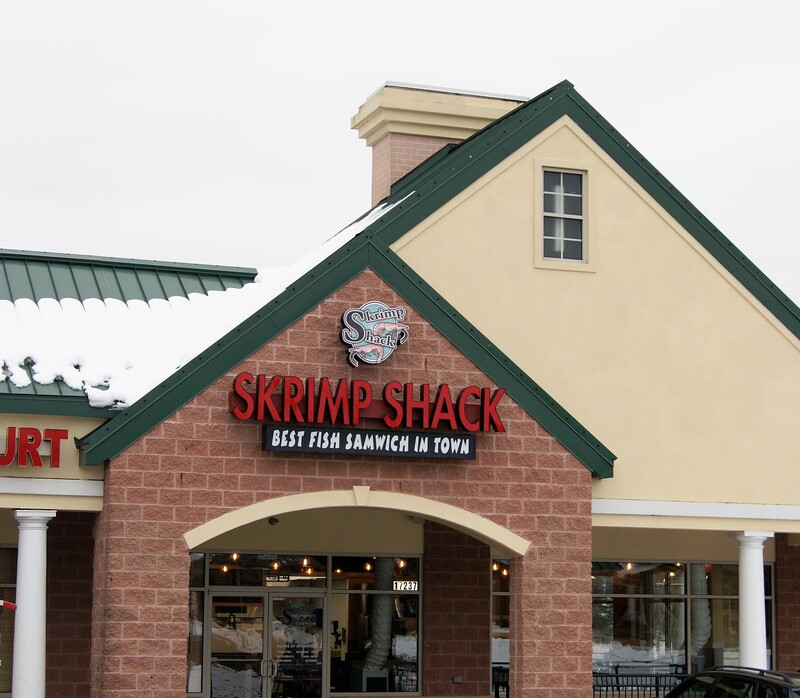 Seafood Lovers, Rejoice -- Skrimp Shack Is FINALLY in NoVA! If you love fried seafood, make the trek to Skrimp Shack in Dumfries for the self-proclaimed "fattest fish samwich ever." Good fried seafood hits the spot in a way that nothing else can, and Skrimp Shack does it up really well. They're known for their enormous fish sandwiches and housemade sides, so check them out when you're on your next Ikea run to Woodbridge. Michelle Baxter and her husband Andrew own this location, and on our visit, she sat down with us and shared some of her top dishes for this article. "We appeal to the casual diner," Michelle explained. 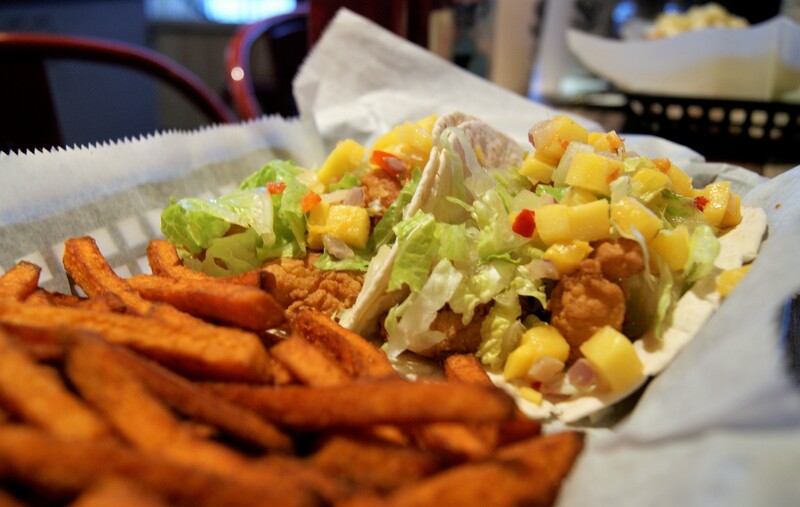 "Someone who loves seafood and wants to be in and out -- We're like the Chick-fil-A of seafood. We're even closed on Sunday!" 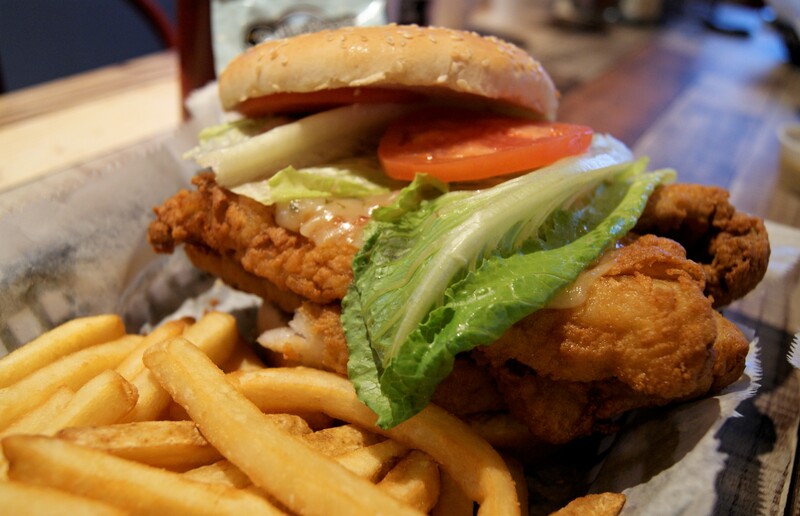 Believe it or not, this giant fish sandwich is under $10. There really is a bottom bun hidden under all of that gorgeous fish, I promise. Make it a combo with their crisp golden fries -- you won't regret it! 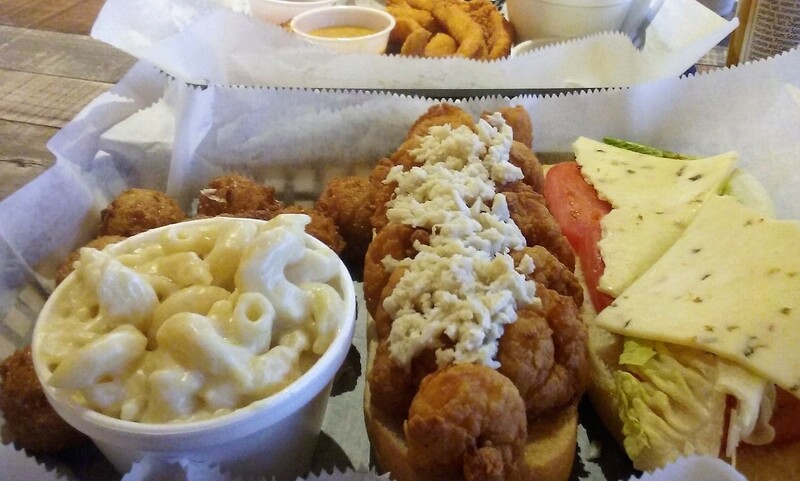 Fried shrimp is piled high and topped with fresh crab meat in a toasted hoagie roll. The creamy white mac and cheese is absolutely addictive. Two classic seafood favorites pair up in this flavorful basket. Paired with the savory collard greens and crisp hush puppies, this is the ultimate comfort food. Fresh mango salsa really pops against the crisp fried shrimp in this dish. Slather on some of the spicy house sauce for an extra layer of flavor. 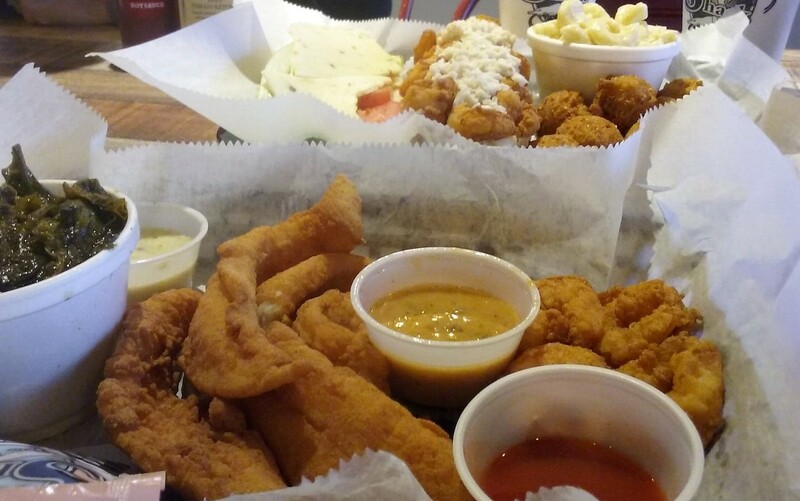 As you can see, this is a place for good, fresh, fried seafood. 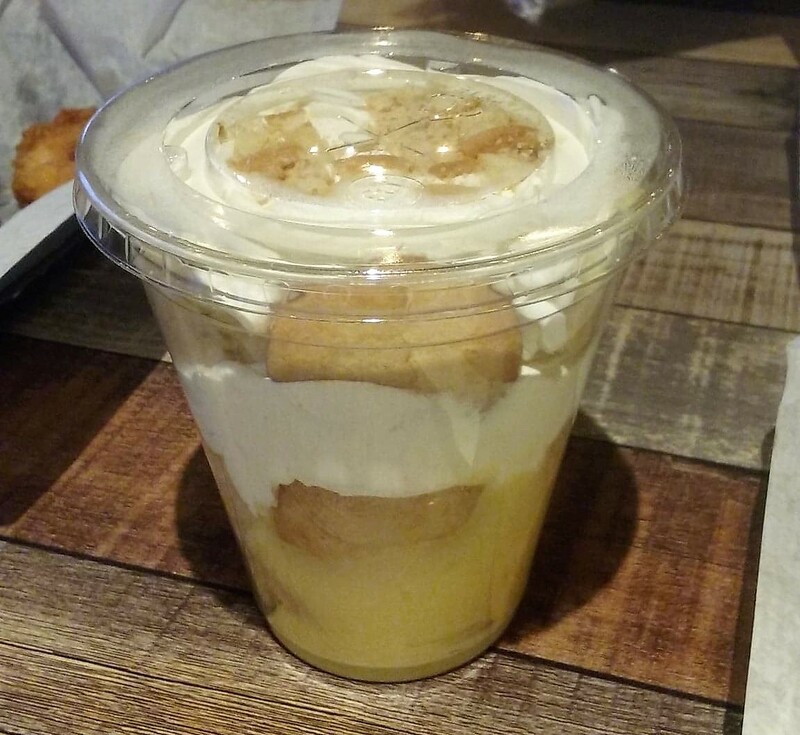 Everything about this restaurant says comfort food -- from the velvety banana pudding to the enormous portions and Southern sides. Keep an eye out for new locations opening up -- there's one coming to Alexandria near Fort Belvoir! 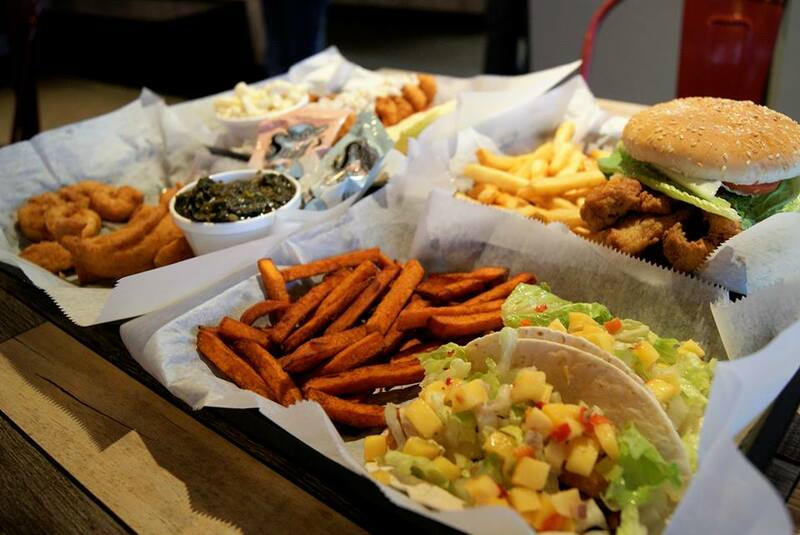 This coastal favorite can be found from its original spot in Norfolk, through Fredericksburg and all the way up to Northern Virginia, so take a quick look-see and find out if you have one near you. **All photos in this article are by Tony Petrocelly or Sarina Petrocelly. Disclaimer: The food pictured in this article was generously provided by the Baxters to show OCN readers what they have to offer. Have you tried Skrimp Shack? What are your favorite dishes? Let us know in the comments below! Craving good barbecue? Check out our review of Smokin' Looney Q in Woodbridge! Head to Virginia's Our Community Now homepage for more local foodie hotspots!